Sam Darlaston currently presents across the UK on KISS FM’s Late Show (11pm-2am) weeknights & Kiss Fresh New Music Nights (7-9pm) weeknights. Sam Darlaston rose to prominence in 2015 after coming out triumphant in the nationwide presenter search for “Kiss FM’s Chosen One”. Sam impressed judges and fended off competition of thousands of other hopefuls and bagged himself the coveted job as Kiss FM’s newest presenter, quickly broadcasting to the nation. 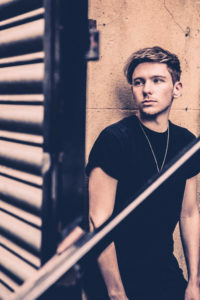 Just two weeks after coming out victorious in Kiss FM’s talent hunt, Sam was given his own regular slot weekly on Kiss Fresh from Monday to Thursday. Born and raised in a small village in the Midlands, Sam left home at 18 years old to pursue a career in performance. He attended University of Bedfordshire and graduated with BA First Class Honours in his Media Performance degree. 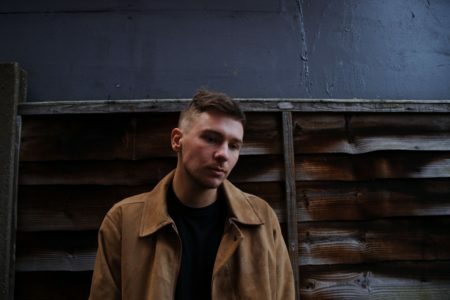 Whilst studying, Sam interviewed upcoming music stars for the University Radio Station (LAB) and Loud Magazine in association with national touring platform Coffee House Sessions. Izzy Bizu, The Shires and Gavin James were just some of the “emerging” artistes Sam championed at an early level. 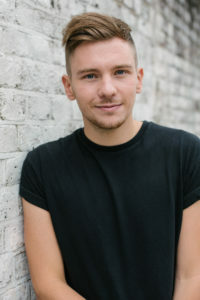 During this time, Sam also began working backstage on some of the UK’s biggest TV shows via ApplauseStore including X Factor, Celebrity Juice and Big Brother and went on to hone his presenting skills for ApplauseStore TV via YouTube and Instagram. A year into his time at Kiss FM, Sam became one of their most prominent vloggers and was sent to LA, California for the press junket of Allegiant film, Divergent where he interviewed Shailene Woodley, Theo James, Miles Teller and Zoe Kravitz. Sam was praised for his off-beat, alternative interviewing techniques after doing a yoga-style interview with Woodley. This preceded a string of high profile interviews including Daniel Radcliffe, Woody Harrelson, Mark Ruffalo, Dave Franco and Lizzy Caplan who he met in New York for “Now You See Me 2” again gaining quirky content. Sam once again took a creative approach to the junket and competed in a “party-trick” segment with Franco, wowing the actor with his bird-call whistle – needs to be seen to appreciated! Kiss has continued to use Sam as a go to presenter for subsequent promotions and sent him to Sevilla, Spain to work on the Assassin’s Creed Movie and across Europe on an activation with Lucozade Energy focusing on a “summer of a lifetime/less sugar, same energy” inter-rail promotion. Sam has covered some of the biggest red carpet events in London for movies such as Batman vs Superman, Captain America and Transformers. He also worked on the interview junkets for Transformers where he interviewed Hollywood legend Mark Walhlberg who he asked for bicep improvement advice from after admitting his mates refer to him as cheese-string arms! He went on to interview a star studded cast for “Kingsman: The Golden Circle” again taking a unique approach which involved a breath-holding contest and talking about perfecting the London accent with the likes of Colin Firth, Jeff Bridges, Taron Egerton and Mark Strong. Sam also worked with the Fast & Furious movie franchise, vlogging a thrill-seeking experience day doing stunt car driving and partaking in a helicopter ride ahead of their 2018 live tour. In December 2018 Sam starred in channel 5 TV series When Christmas Goes Horribly Wrong, and when TV Animals Go Horribly Wrong as one of their presenters commenting on the footage. Sam has had a huge affiliation with music artistes, covering the Kiss Social Media footage for The Brit Awards 2017, interviewing Rag n Bone Man, Anne-Marie, Rudimental and Jonas Blue but to name a few. He went on to interview stars including Martin Garrix and Naughty Boy at a series of summer festivals including Bestival and BST for Kiss & Three UK. Recently Sam teamed up with SKY and Netflix for their House of SKY Q promotion, where he took part on set in scenes from Game of Thrones, Stranger Things, The Crown and Westworld for an online promotion. 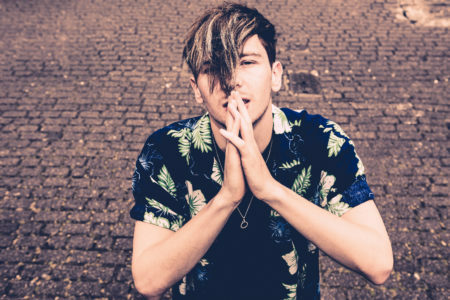 During Halloween 2018 Sam filmed at Thorpe Park Fright Nights where he was sent around scare mazes alone for KISS to find his co-presenter who had been turned into a ‘zombie’… After this he was asked to film backstage interviews at the KISS Haunted House Party where he interviewed the likes of Clean Bandit, Jess Glynne, Jax Jones and more. 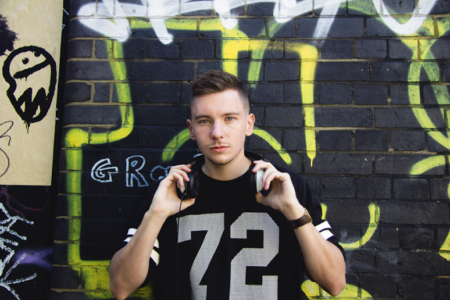 Since joining the radio world, Sam has DJ’d and compered events across the UK spanning festivals, universities, nightclubs, private events and football stadiums! 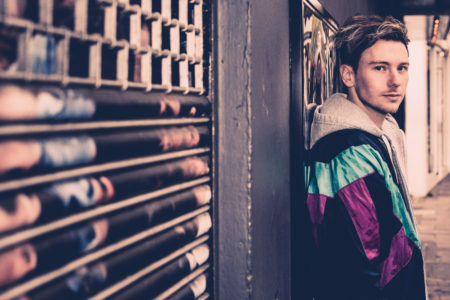 Whilst performing at many events as the headline artiste, he’s also supported the likes of Craig David, Years & Years and Scouting For Girls amongst others. In the summer 2018 Sam partnered with fashion store TOPMAN in a fashion/music based collaboration, where he became their in house DJ for private shopping events. Most recently he DJ’d at the X Factor Final 2018 Wrap Party in London Wembley. After holding down his own Kiss Fresh radio show for over two years and a series of covers on Kiss FM (early breakfast, late show and flagship Kisstory), Sam landed his own slot on Kiss FM in late 2017 by being awarded the Late Show (10pm to midnight) and quickly seeing it extended to 11pm – 2am across the UK, 4 nights a week Sunday to Wednesday! Alongside this, Sam continues to host his “New Music Nights” show on Kiss Fresh and was also awarded a Sunday afternoon slot on Kiss Fresh (3pm to 7pm) taking his total time on the network to 30 hours a week! In October 2017, Sam was named by The Radio Academy as one of the “30 Under 30” Ones To Watch working in radio in the UK at the ARIA Awards and the only commercial radio broadcaster to be included. Sam continues to be a young talent who is going from strength to strength. With so much under his belt before the turn of his 25th birthday, he’s arguably one of the most promising emerging talents on the airwaves right now. Sam is a keen philanthropist and in 2017 appeared on Channel 4’s Stand Up To Cancer’s “Great Canoe Challenge” where he rowed 18 miles to raise money for the charity alongside the cast of Love Island and Hollyoaks. Sam is also a keen environmentalist and hosted Ocean Generation’s online TV show “Beyond a Click” at YouTube HQ where he helped raise money and awareness for Dominica, Puerto Rico in the wake of the disastrous hurricanes in 2017.